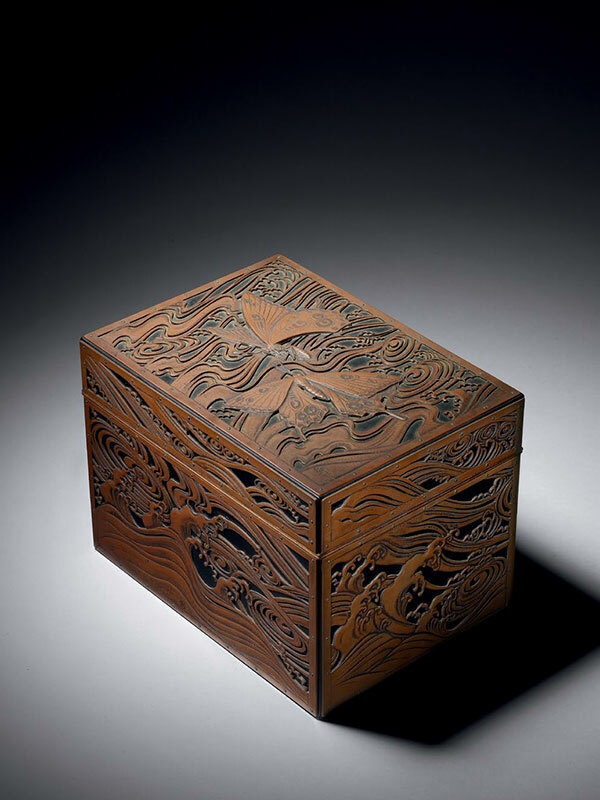 A wood covered box, entirely overlaid in brass panels, the top of the lid with a decoration of butterflies hovering over wildly crested waves, pierced and engraved in detail, the side panels showing waves only. All the brass panels are attached to the box by nails at regular intervals. The bottom left-hand corner top panel is engraved with the two-character signature of Osuga Takashi.